Arabian Seas are unlike any other in the world. Situated in a remote corner of the northwestern Indian Ocean, they experience exceptional conditions that have shaped a unique assemblage of marine life. 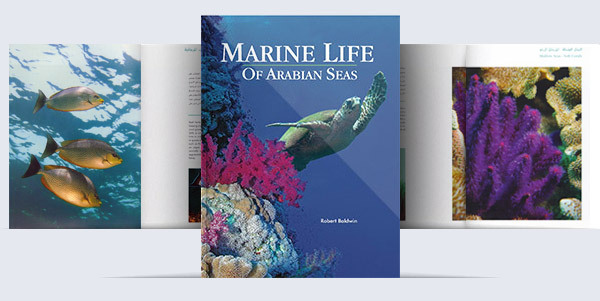 This book presents a range of Arabian marine life that is bot representative of, and peculiar to, the region and is broadly divided into coastal and intertidal environments, shallow seas and the pelagic life of the deep ocean. Author Robert Baldwin spent four years taking and gathering photographs from around the region to illustrate this work, much of which is based on the his own research and that of colleagues at Five Oceans. It remains one of few books on the subject of marine life in the region. Produced and published by SeaWords, sponsored by Shell Representative Office, Oman. 218 pages.